Led by Lauren L Caron, Union Adorn is a bi-coastal, full-service design firm offering full-service interior design services, creative visual consulting, and concept design for luxury retailers and emerging brands. We aim to create compelling experiences that illustrate the stories of our clients, whether it be designing a home that furnishes a life well lived, or to depict an inspiring narrative of a brand's story. It has been recognized that in every project we represent exceptional taste, understanding the subtleties between timeless design and forward thinking. Our style is layered in detail, personal sensibility, and innately beautiful. We partner with our clients from concept to execution - to translate their dreams into concrete ideas, then oversee the production to installation; allowing for these concepts to be realized. To our clients, we see ourselves as filling that space between the conceptual vision and the concrete execution, as we are not only there to develop and design, but also to support and guide. For residential projects we are that link between our clients and the builders in order to streamline the process. With retail and commercial brands our hefty knowledge in production and extensive network of specialty vendors allows us to seamlessly design and produce custom fixtures and displays. Our firm was founded on the belief that dual creation will always exceed the individual. On a project by project basis, we bring together our network of highly skilled and talented artisans and designers, and marry their vast skill sets to provide a uniquely tailored and versatile service. As a result this allows for our list of services to be flexible to the needs of the client and project scope. While our fundamental services are based around the design of interior spaces and creative visual installations, this network allows for our reach to expand into prop styling, and brand identity design. Which provides a seamless opportunity to translate an emerging brand's vision into reality. 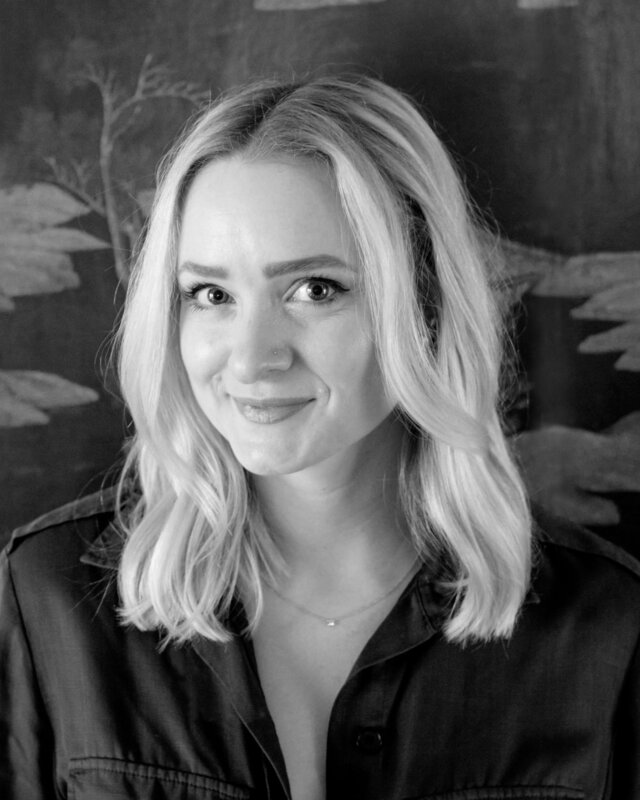 Through years of working within the creative and visual merchandising industry for some of the most renowned luxury brands, Lauren Caron developed a broad range of technical skills and business acumen. In addition to her innate creative mindset, she is a multifaceted designer, who is both a conceptual and strategic thinker. Possessing the ability to host the vision for grandiose projects, while having the patience and focus for minute details. Prior to launching Union Adorn, Lauren developed numerous installations for international rollouts and specialty design projects at the both management and team level. The nature of this work allowed for Lauren to generate valuable relationships with a network of highly skilled, talented artisans and designers. Lauren has acknowledged that these mutual collaborations and partnerships can truly elevate the outcome, garnering distinctly excellent results and mutual benefits for all parties involved. With that in mind she sought to expand on this concept and to create a modern day guild. Lauren's design aesthetic is greatly influenced by her upbringing in small town New England living in a historic home built in 1801. From an early age she learned about the interior design legacies from her hobbyist decorator/professional landscape designer mother. This foundation laid the passion for interiors and how a beautiful and well designed home is a matter of necessity. Her early career in luxury retail introduced Lauren to speciatly areas in fashion and branding by designing and creating dramatic experiences through installations and spaces that articulate each brand's message and identity. Building upon those skills Lauren sought to create similar experiences with a greater impact on people's lives through expanding into interior design for residential and hospitality. Lauren's design style has been described as being eclectic, leaning toward traditional yet is approached through a modern perspective. Combining classical elements with timeless pieces, she is noted for her ability to create layered, polished and livable spaces that always depict a strong narrative reflective of her clients' tastes and lifestyles.